Every year, I like to include some of my favorite books and DVDs as part of the fun of the season shopping opportunities! So here is my list for the top five fav picks. They are a great size to add for stocking stuffers, or take along just in case you need another gift! Links are included to be able to purchase right away from Amazon.com. Enjoy! J.R.R. Tolkien’s classic prelude to his Lord of the Rings trilogy featuring cover art by Caldecott Honor winning children’s book illustrator Peter Sís, this edition of The Hobbit has been specially formatted for young readers. Larger print size and wider margins provide reading ease for the youngest Tolkien fans. This quality digest edition also includes interior maps and original interior illustrations by J.R.R. Tolkien. I have to include my own book just in case you don’t have it yet! Psychic Integrity, The Respected Practice of Modern Day Mystics. Do mediums really speak to the dead? Are psychics really able to divine the future, or do they use a parlor trick called “cold reading” Find out now. Once highly respected and revered, the age-old tradition of divination is now often ridiculed as fraudulent. Deception, ego, greed, and ignorance have given the term psychic a bad reputation. It’s time to change that perception. 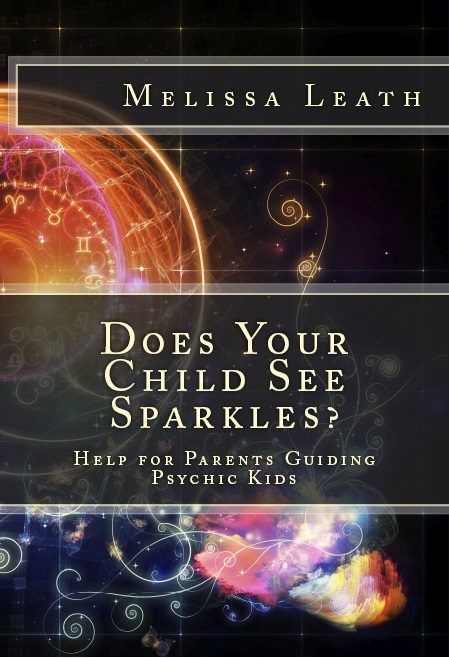 This book, as a guide for high standards of integrity, brings back the honor and reverence of psychics and mediums. 2013 Predictions by Melissa Leath. If you have predictions of your own~~ please leave them in the Comment area below. We all look forward to the start of a new year with great anticipation. And many of us have high hopes for the future, both personally and collectively. I share the predictions for 2013, as they were given to me. Please note that the majority of this prediction emphasizes downsizing and co-operation among peoples. Take mind of your circumstances. Clear your space (both physical-living space, and personal-energetic space). Make room. You may be sharing your space with others in your family or neighbors. Know that all predictions are based on current flow of energies and can be changed or lessened by prayer and intent.My hope is that you keep this in mind as you read. I also share thoughts I have through spiritual understanding concerning 2013, and all the changes that are coming. I wish you the best for the New Year, and hold a positive light for all of us as we move forward in this new energy. No, this is not the end of the world! But it is definitely the end of the world as we know it. I am sure you have noticed everything changing. Countries that have been dominated by dictators for generations have decided to voice their frustrations in a very loud way. The world economy is on very shaky ground right now, so there will be major changes with that. There are only a few of the mega-churches that are booming with attendance – the other churches are struggling to make it. The industrial era has shifted into a computerized-electronic model. Even the way our children learn has changed. The past 2,000 years or so were called the Piscean Age. This was mainly during the Christian movement, when the powers-that-be felt our lives needed to be governed and regulated. We needed to be told what to do. Progress was slow and cumbersome, and the rights of human beings needed to be addressed. These were days of the Sign of the Fish (representing the Christian religion) when we were content to “Swim in the Water”. Now, we have embarked into the Age of Aquarius. It has been known for at least 50 years by astrologers, and marked in musical and hippy history by the song “This is the Dawning of the Age of Aquarius,” by the singing group the Fifth Dimension. Now that we are at a Universal Shift, we must let go of the old way, and open to the new age. It is represented as learning to “Walk on Water”. In order to walk on water, you have to trust that it will work. I know, we have been led to believe that walking on water was a miracle that could only be performed by one person, and led to believe that person was special, and better than we are. To Walk on Water you have to be willing to release old baggage and let go of emotional issues. Your belief system must be revved up to be able to accommodate the energies coming in, and all the “unbelievable” things that will manifest. Your energy field and your physical body must also be shifted to handle the changes. – or you will be left out. May your New Year be the best and most fascinating one you have ever had! I feel the problem between Israel and Palestine will continually deteriorate. It appears that President Obama has tried his best to keep the USA neutral. In this effort of neutrality, and the fact that the problem gets continually worse – with significant loss of life, I see the USA moving into the area – actually between the two countries, along their border – to buffer the fighting. The phrase “Buffering Body” comes to mind. The main reason for being there is to stop missiles from reaching their targets from either side, and to stop physical fighting at the border of each country. This position could influence our situation here at home and in the world. Palestine rises up out of the water (about 4 feet)… I saw the physical area really rise. I do not see what causes this earth movement, but can only suspect it to be the result of some kind of underground upheaval. Of course, many might interpret this as rising above the oppressive situation it has been in for so many years. Information will be brought out concerning the circumstances between Palestine and Israel. The religious aspects of this tainted history will be made known on many arenas, including in the USA newscasts. I predict this will open many people’s eyes to the truth about religion as a whole, going back to the start of religious factions. It will be a grand awakening for religion vs. spirituality. 3. Food co-ops, which include shared garden areas/canning/food storage/distribution within family groups. In general, people are pooling their talents, resources and abilities to support each other and survive together. Also, large and small companies start offering a better way to do business. They restructure their businesses to be outsourced by small, private owned business. On a grassroots level, the population is employed and nourished, not the way we think it will be, but in a satisfying way. After the government is able to re-evaluate the way they gauge or measure unemployment and cost of living, we will see that people are living in a more wholesome way, taking charge of their own needs. There appears to be a large, country-wide event that happens between mid-February through mid-March 2013. There seems to be earth movement and/or rumblings at key points just at the edge of the continental USA. ** from the West is San Francisco/Mt. Hood area. These are areas that should be watched, and possibly be used as syncronistic events. They are either a trigger or result of extreme quake activity and upheaval between a three-point area. Tri-Angle Area of: Mt Whitney, Denver, and Albuquerque. This is the point of devastation that seems to involve major destruction with significant loss of life. It appears to be created by some atmospheric disturbance with possible result of airplane or jet crashes. The disturbance could be from massive solar flares resulting in electrical problems and strange shifts in air pressure. It also could be a rail system crash between Denver to San Francisco. I see president Obama still a very congenial personality in private, but in the workings of the government, he seems to take a stronger approach. He insists on both political parties working together to get things done, in an effort to benefit the country as a whole. His stronger tactics work. And the citizens of the country feel more confident about their lives. Some major change involves Speaker of the House John Boehner. Not sure just yet if that refers to a change of mind, or a change in position/health issue? A snow blanket of at least 6 inches, maybe more will be in the Ohio Valley early in the 2013 winter season (probably January). The temperatures go well below zero, resulting in solid, frigid ground for at least two weeks. (I can actually hear the crunch of dry snow on a solid ground, and it looks calm and peaceful. So I would say there is no severe wind and storm involved.) Winter will have a good hold on this region and reset Mother Nature for the rest of the year. A very positive winter as far as the weather goes. Much more focus on the heart this coming year. It might start out being about heart medicine, but the medical field will change to heart-center healing. Emotions, mind health and kindness, which are major Eastern-philosophy concepts, will become common talking points for us here in the states. Centers that have already been operating in this direction become more pronounced and assist many people. Many of these predictions are shared on Tammi Rager’s Radio Program “The NowAge” on Talktainmentradio. Click Here to access the re-play of it, then chose “The NowAge- Episode 12/10/12 — 2013 Predictions, Part 2” under Featured Podcasts. Melissa Leath is the owner of Off the Beaten Path Intuitive Arts, facilitator of the Professional Psychic Medium Certification Program™, and works with psychic/mediumistic kids and young adults in private mentoring programs. She holds a bachelor’s degree in Metaphysical Counseling, was certified, as a spiritual medium in 1983, and ordained as a spiritualist minister in 1997. She is a Life Visionary™, a Master Reiki practitioner and teacher, and is the author of a number of books including, Psychic Integrity, The Respected Practice of Modern-Day Mystics. Melissa is dedicated to sharing the knowledge of psychic empowerment. Her mission is to guide as many people as possible through her books, sessions, and programs. She has been working with clients and students for over three decades, assisting them in learning spiritual concepts and recognizing the higher purpose for their lives. She teaches both online and in person, has taught meditation and parapsychology courses at Clark State Community College in Springfield, Ohio, and is one of only a handful of mediums offering classes for psychically gifted children. She has presented papers at the US Psychotronics Association Conferences, she also writes for DreamWeaver Magazine, and is a regular featured radio guest. Thank you for taking 20 minutes out of your day to restore yourself to balance and harmony. With these ever changing tides, it is crucial to bring our presence, love and joy to everything we do. Hope you enjoy this meditation, and I will look forward to sharing other simple tips soon.